In contrast to his classmates who have shown the desire to take the Chunin Examination, Boruto’s refusal of the exam confuses everyone. 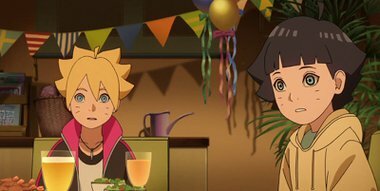 During this time, Boruto’s family is celebrating Himawari’s birthday by having the whole family together for the first time in a long while. Boruto is grateful that his father Naruto is keeping his promise of “celebrating Himawari’s birthday together”, however……. That night, the Uzumaki family is visited by a guest. J’espère que ils ne vont pas refaire le film Boruto de a à z.